These may not be official official photos, but these are actual stills from the movie, The Rum Diary, and not just some shots of Johnny Depp taken by the paparazzi while on set down in Puerto Rico. I've heard about this movie many years ago, probably while it was still in the production phase. It's nice to see the film finally taking form. 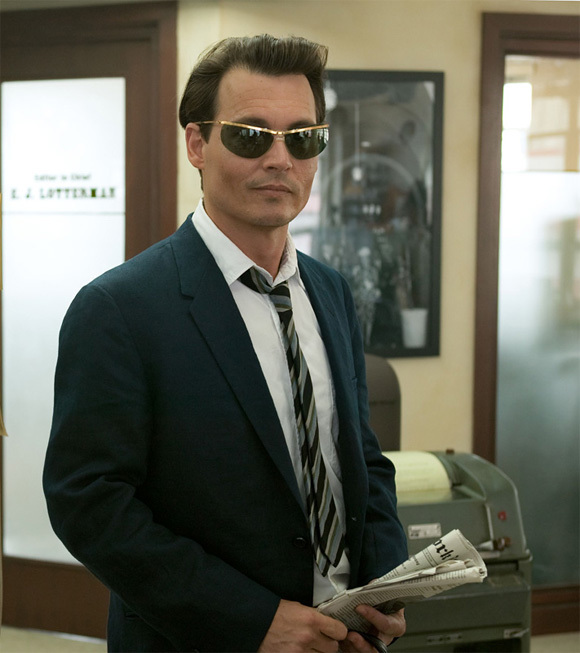 It's also very nice to see Depp in a role that doesn't involve heavy make-up. He's absolutely gorgeous! I have no idea when this movie will hit theaters, but you can bet I'll be the first to let you know as soon as I get wind. Anyway, check out these two photos below! 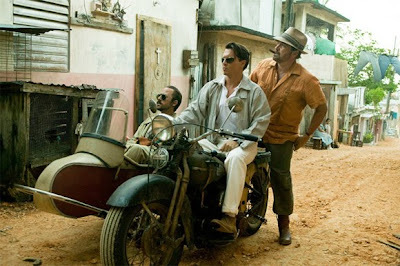 Based on the Hunter S. Thompson novel, The Rum Diary, directed by Bruce Robinson (Jennifer 8), follows Depp as Paul Kemp, a divorced alcoholic (drink of choice is rum no less) and a freelance journalist who finds himself at a critical turning point in his life while writing for a run-down newspaper in the Caribbean. With his new friend Bob Sala by his side, Kemp becomes entangled in a corrupt hotel development scheme with a PR consultant named Sanderson. Amber Heard, Aaron Eckhart, Richard Jenkins, and Michael Rispoli also star in this. intriguing--even so I'd see it just to look at him. Nice to see that they're finally making this-- Too bad after it took JD's involvement to do it. I'm not sure how much of the protagonist is based on HST, but I don't want to see another Raoul Duke performance (as much as I love Fear and Loathing...). If that were the case and given the story line, they might as well call it "Mr. Bean Goes to San Juan". Dang it - erin Leigh beat me to the punch. the teletype in the background is from Seattle, as is all the rest of the gear.